An extremely steep step felled nearly every member of a Nova Scotia minor hockey team, with each wee leap to the ice ending in a boy-sized pile. And the cuteness factor has quickly pushed the resulting video to viral status. 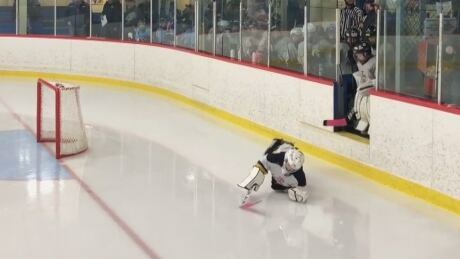 15 university players suspended over weekend hockey brawl in N.S. 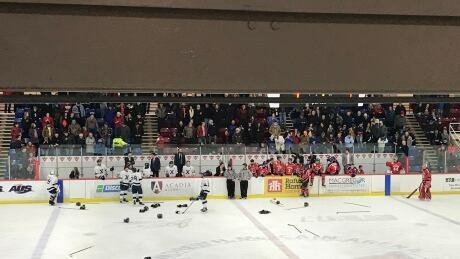 A total of 15 players and both head coaches have been suspended as a result of the brawl that broke out during an Acadia-St. FX hockey game last weekend. 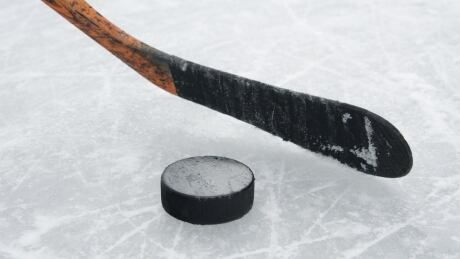 Posted in News/Canada/Nova Scotia | Comments Off on 15 university players suspended over weekend hockey brawl in N.S. Sam Studnicka, of the St. FX hockey team, says he's "proud" of the way his teammates stood up for him over the weekend. Videos online show players on both teams throwing punches, grabbing jerseys and hurling insults. 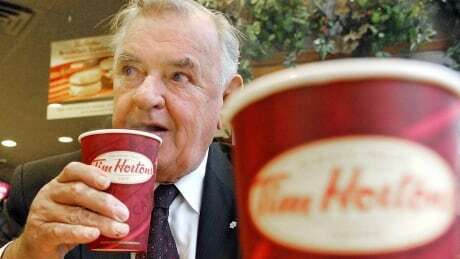 Ron Joyce, a former policeman who turned Tim Hortons coffee into a billion-dollar empire, has died. 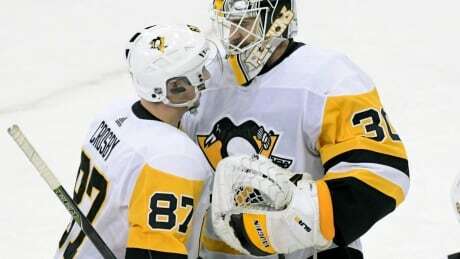 New York Rangers fan Nick Lipeika tells CBC News how after heckling Sid the Kid, the Pittsburgh Penguins superstar ended up giving him a signed stick after a game Wednesday night. Decorative totem poles featuring hockey-themed figures and logos for teams including the Montreal Canadiens and the Toronto Maple Leafs have been removed from shelves at nine Lawtons drugstore locations in Nova Scotia. 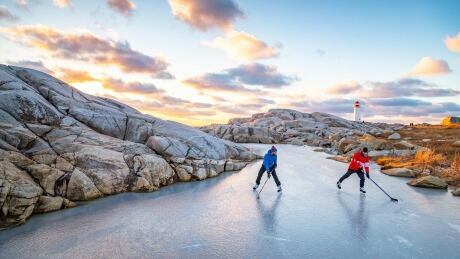 Adam Cornick said he's received a "phenomenal" response since posting the shot to his Facebook page Monday, with people excitedly sharing the nostalgic wintry shot and lauding its depiction of a quintessential East Coast experience. 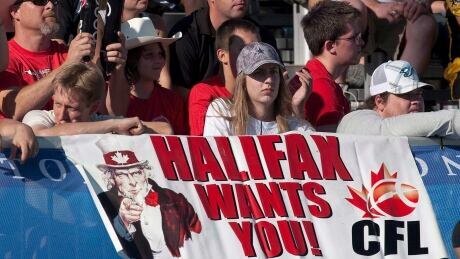 Halifax is being courted all at once not just by the CFL but also by major soccer and lacrosse teams. There are doubts about whether the city of 400,000 people can sustain so many professional sports teams. 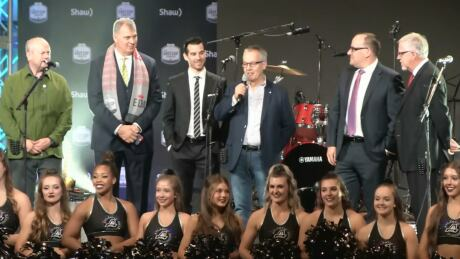 Maritime Football, the group behind the campaign to bring the CFL to Atlantic Canada's largest city, put forward an initial list of four possible names earlier this month: The Atlantic Admirals, Convoy, Storm and the Schooners. You are currently browsing the archives for the News/Canada/Nova Scotia category.